The SEMA Show is not open to the general public. The SEMA Show is a trade-only event and only qualified individuals employed within the automotive aftermarket industry are permitted to enter the convention center. Republican senators complained Wednesday that U.S. taxpayer dollars could end up boosting the Chinese economy, following reports that a Chinese firm is leading the pack of companies bidding for a majority stake in government-backed Fisker Automotive. The troubled California-based electric car maker, which was backed by U.S. taxpayers to the tune of nearly $530 million, for months has been looking for a financial partner. Reuters reported earlier this week that China’s Zhejiang Geely Holding Group is favored to take over, though Fisker is also reportedly weighing a bid from another Chinese auto maker. 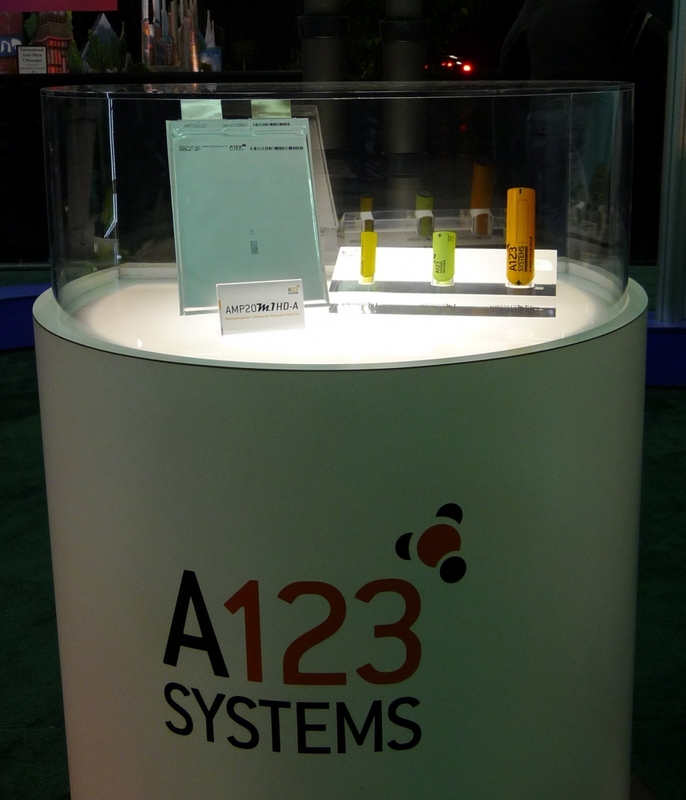 The development comes after Fisker’s main battery supplier — U.S. government-backed A123 Systems — was recently purchased by a separate Chinese firm. Sens. John Thune, R-S.D., and Chuck Grassley, R-Iowa, voiced concern Wednesday that Chinese companies are benefiting from U.S. taxpayers’ investment. Despite the Reuters report, Fisker stressed that the bidding process is still very much open. “The company has received detailed proposals from multiple parties in different continents which are now being evaluated by the company and its advisors,” Fisker spokesman Roger Ormisher said in a statement. The Obama administration also defended the Energy Department’s overall loan program, which originally extended the nearly $530 million loan to Fisker in 2010. WASHINGTON (Reuters) – A Chinese company’s attempt to take over government-backed battery maker A123 raises serious national security concerns, a bipartisan group of lawmakers said this week, adding to growing congressional opposition to the deal. China’s Wanxiang Group Corp is currently competing with U.S.-based Johnson Controls Inc to buy bankrupt A123, which makes lithium ion batteries for electric cars. The government must ensure that any sale of A123’s technology, which has also been used by the military and to support the U.S. electrical grid, does not threaten domestic security, the senators said in letter to Treasury Secretary Timothy Geithner, Energy Secretary Steven Chu and other top cabinet officials. Struggling battery maker A123 Systems (AONE.O), which got a quarter-billion dollar green technology grant from the Obama administration, has won a $465 million rescue by Chinese auto parts maker Wanxiang Group Corp.
A123 Systems said the planned investment includes an initial credit extension of $25 million that it expects to receive this week. The rest coming through a mix of convertible notes and bridge finance with warrants, as certain conditions are met. The line of credit would help A123 keep making batteries for electric and hybrid cars. Last month, the company said it was left with only 5 months of cash. If all the warrants and notes are later converted to shares, Wanxiang will own 80 percent of the firm, A123 said in a statement. The agreement follows the non-binding memorandum of understanding that A123 signed last week. A123 shares were trading up 2 percent at $0.48 on Thursday morning on the Nasdaq. A foreign rescue of A123 has the potential to ignite a political firestorm in this election year, as President Barack Obama could face criticism for bankrolling technology that ends up in Chinese hands. The advanced car battery industry has been hurt in part by too much capacity and weak U.S. demand for electric cars. If you wander into a certain auto shop in Oklahoma, you may be a little taken aback by the view: two men working on cars in kilts. With no air conditioning in the shop, O’Brien decided to invest in an airier alternative — and he wanted it to be Made in America. So he turned to Kommando Kilts. But they’re not cheap — the kilts come in at $130 a pop. O’Brien and technician David Denney, who goes by Dinkums, are the only two who wear the kilts. The other technician, Ryan Henry, isn’t quite as comfortable showing a little leg around the office. “He doesn’t even wear shorts, so he’s definitely not going to wear a kilt,” O’Brien said. But he also pointed out you can’t get too comfortable. But for these leg-baring men, it’s about more than just the breeze. General Motors is becoming China Motors. Watch and Listen to the candid comments of GM’s CEO. BEIJING (AP) — China’s government said Friday it will “properly handle” a U.S. complaint to the World Trade Organization about its anti-dumping duties on auto imports and doesn’t want the latest in a string of trade disputes to harm relations. The U.S. complaint Thursday adds to a series of disputes with Beijing over market access for goods ranging from poultry to steel. Political tensions over trade are mounting as governments try to boost exports at a time of slumping global demand. Washington accused Beijing of improperly imposing anti-dumping duties on American-made autos worth $3 billion. The Chinese duties of 2 to 21.5 percent affect cars and SUVs with engine capacity of 2.5 liters or larger. A Commerce Ministry statement said Beijing will “properly handle the request for consultations under the WTO dispute settlement procedures” — the first step in resolving a complaint. Counterfeit electronic parts from China are “flooding” into critical U.S. military systems, including special operations helicopters andsurveillance planes, and are putting the nation’s troops at risk, according to a new U.S. Senate committee report. A year-long investigation conducted by the Senate Armed Services Committee found more than one million suspected counterfeit parts made their way into the Department of Defense’s supply chainand were bound for use by “critical” military systems, according to the 70-plus-page document released Monday. In addition to Navy helicopters and surveillance planes, the parts were slated to be put into the Air Force’s newest cargo planes. Chinese companies were identified as the “primary source” of the counterfeit goods and the Chinese government was criticized for its alleged disinterest in cracking down on counterfeiting there. The report said that Chinese companies take discarded electronic parts from all over the world, remove any identifying marks, wash and refurbish them, and then resell them as brand-new – a practice that poses a “significant risk” to the performance of U.S. military systems. Months after the Senate committee launched its investigation, the Pentagon said in November it was moving to protect against counterfeit parts by modifying policies and improving its internal process as well as working more closely with private companies in the industry. Representatives for the Chinese government at its embassy in Washington, D.C., and consulate in New York, New York did not immediately respond to request for comment on this report. Employees assemble photovoltaic panels at Suntech Power Holdings Co.’s factory in Wuxi, Jiangsu Province, China, in 2011. The U.S. Commerce Department imposed tariffs of 31 percent to 250 percent on Chinese solar-product imports, siding with companies including SolarWorld AG (SWV) in the U.S. that said the items were sold below the cost of production. The fees, announced today in an e-mailed statement, add to duties as high as 4.73 percent imposed earlier for getting unfair subsidies from China’s government. SolarWorld had asked for levies of more than 100 percent. Aaron Chew, a New York- based analyst at Maxim Group LLC, said before the decision that tariffs higher than 10 percent would be considered a victory for the U.S. companies. “Commerce today put importers and purchasers on notice about the consequences of importing illegally subsidized and dumped products from China,” Gordon Brinser, the SolarWorld unit’s president, said in a statement. The Commerce Department said a final determination on the tariffs would be made in early October. U.S. customs agents will collect a deposit or bond on solar cells made in China in the 90 days before today’s decision. SolarWorld said its Hillsboro, Oregon-based U.S. unit can’t compete with Chinese exporters, including Suntech Power Holdings Co. (STP), the world’s largest solar-panel maker, and Trina Solar Ltd. (TSL) unless tariffs are imposed. Suntech was told to pay 31.22 percent, Trina’s levies were set at 31.14 percent and others were told to pay duties ranging from 31.18 percent to 249.96 percent. U.S.-based solar-product companies rose in New York trading after the announcement. First Solar Inc. (FSLR) climbed 94 cents, or 6.7 percent, to $14.92, and SunPower Corp. (SPWR)added 51 cents, or 10 percent, to $5.59. Opponents of the punitive tariffs, such as the Washington- based Coalition for Affordable Solar Energy, which includes Westinghouse Solar Inc. (WEST) and more than 100 other companies, claim the levies would cost U.S. jobs.